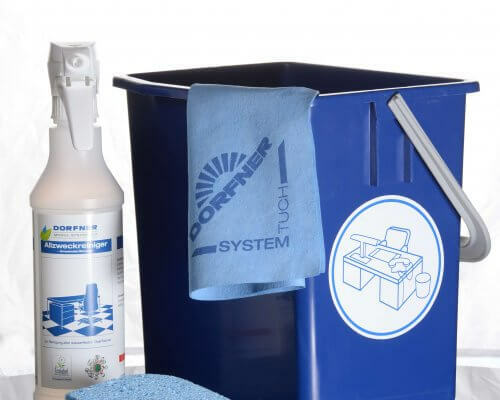 Dorfner Module System 2.0 combines classic maintenance cleaning procedures with the latest technology. 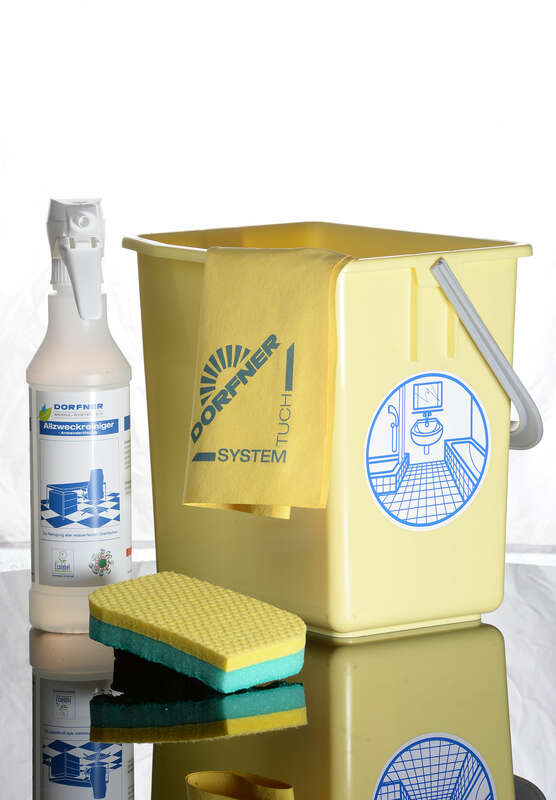 Key components include individually designed cleaning trolleys, cleaning chemicals dispensed according to need and a smart cleaning method with prepared microfibre cloths and mop head covers for maintenance cleaning.The Dorfner Module System comprises two different cleaning procedures: “Safe Cleaning” and “Classic Cleaning”. We consult with the customer before the contract begins to decide upon the option most suited to the project. 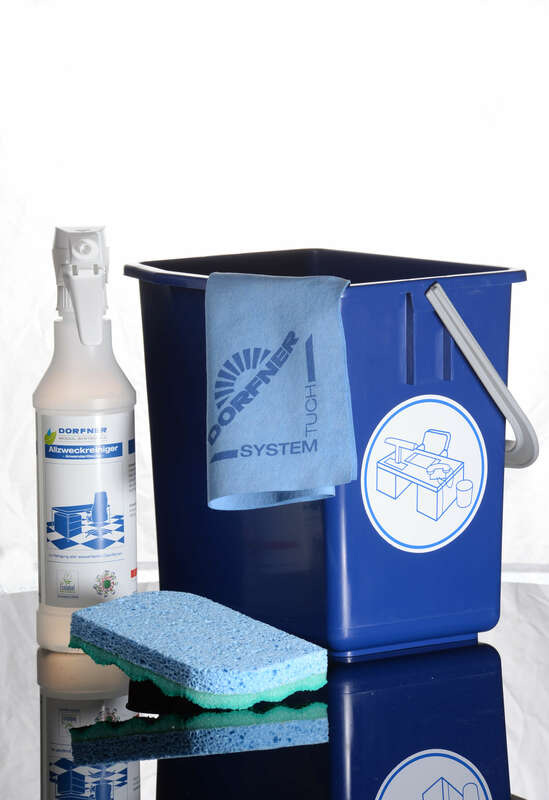 With “Safe Cleaning” (based on ClaraClean 2.0), cleaning textiles are treated with surfactants in the washing machine directly, and then used damp or stored dry. 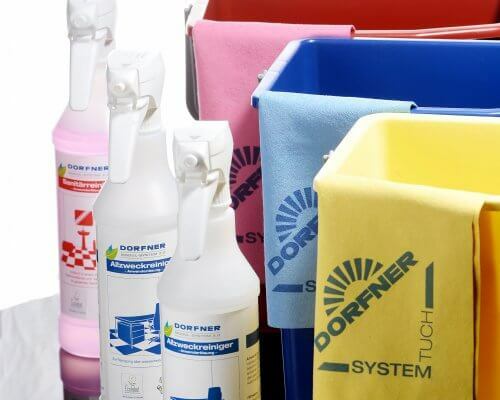 Using cleaning textiles treated with surfactants reduces chemical consumption and results in increased area coverage. With this clever cleaning formula for cleaning cloths and covers, a 40 centimetre wide mop head cover can clean up to 80 square metres at a time. The results are clear to see! 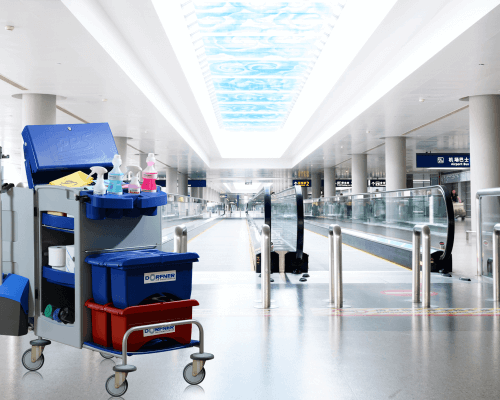 Those who opt for the traditional cleaning procedure – known as “Classic Cleaning” – will benefit from a system that was completely overhauled in 2013: from cleaning chemicals, to cloths and mop head covers, through to multipurpose cleaning trolleys. 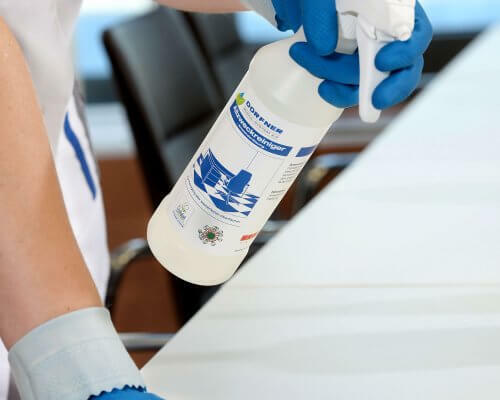 The new concentrated cleaners bear the EU Ecolabel and the Austrian Ecolabel, whilst the cleaning textiles have been awarded the Scandinavian “Nordic Swan” Ecolabel.Simple, modern pictograms on all labels explain correct dosage and use in a way that anyone can understand. 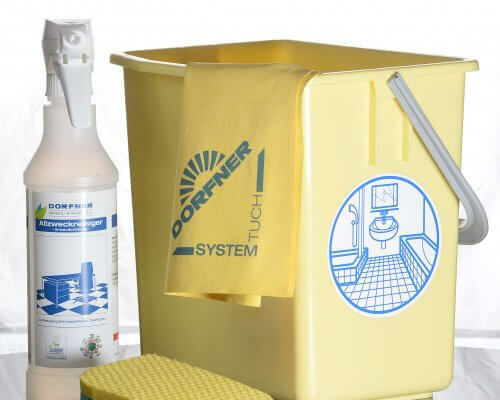 The state-of-the-art microfibre cloths are matched up with different areas, upper and lower surfaces and cleaning chemicals using a colour-code system. In addition, dispensing too little or too much of the concentrates is impossible thanks to the set dosage mechanism. This more or less rules out errors completely. Every customer has their own wants and needs when it comes to their equipment. 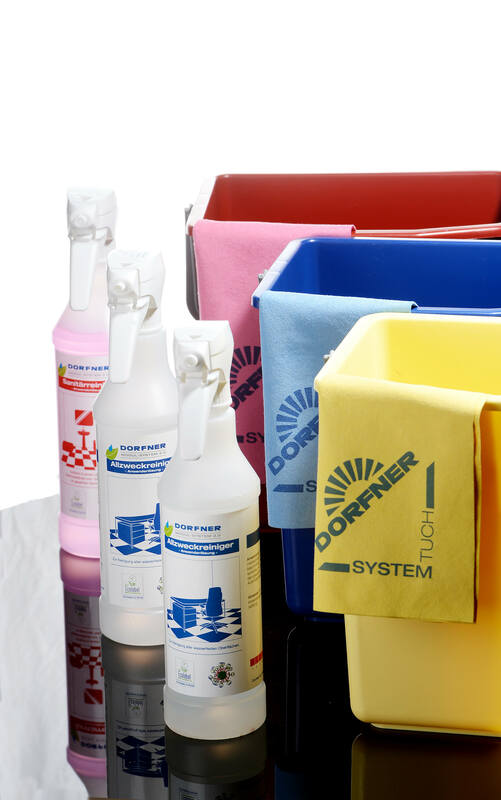 This is why the Dorfner Group has worked with well-known manufacturers to develop the multipurpose cleaning trolley. 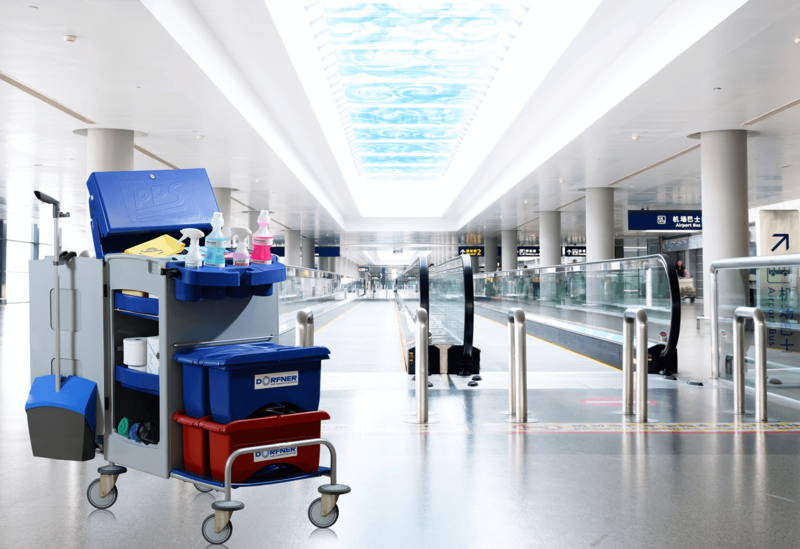 The cleaning trolley has a customisable drawer system, recessed buckets and ergonomic handles, and its low weight makes it easy to manoeuvre. Everything has its place and is easily accessible. A removable unit facilitates easy waste sorting. 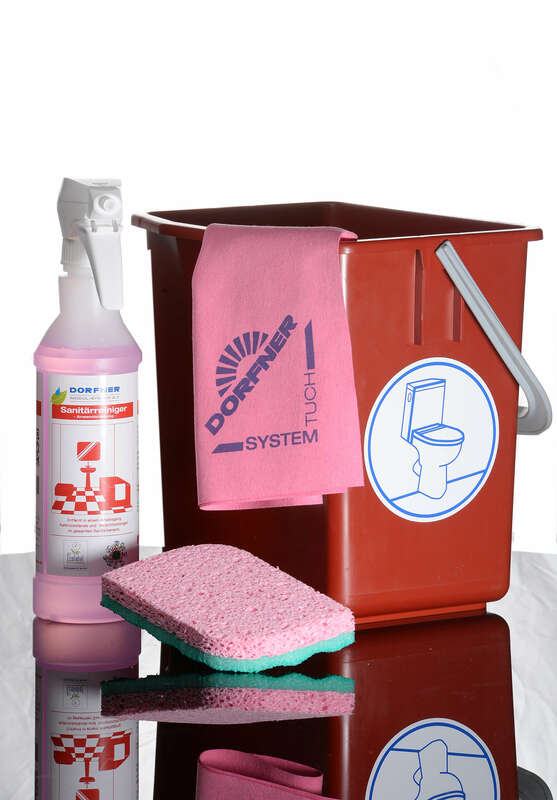 We exclusively use microfibre cloths and wide mop head covers to clean the buildings that we maintain, achieving top cleaning results, optimum dirt-carrying capacity and excellent water absorption. 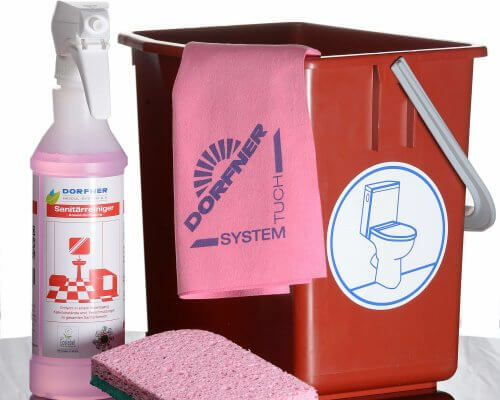 Like the chemicals that we use, the textiles are colour-coded to match corresponding areas: blue for surfaces, yellow for sinks, splashbacks and shelves and red for toilets and urinals. Thus there is no risk of confusion and user safety is ensured.